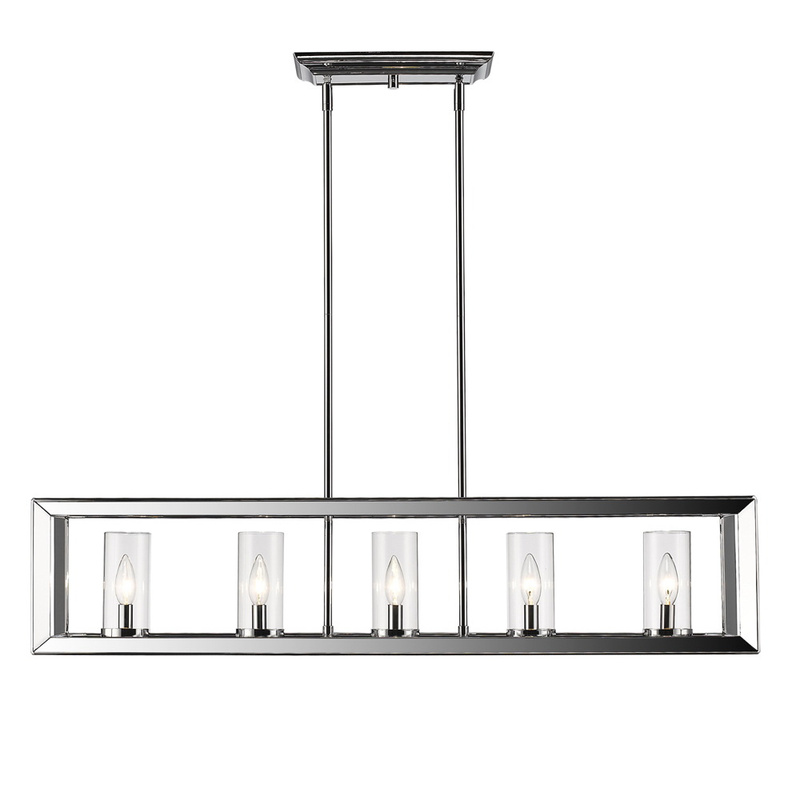 Golden Lighting Smyth CH Collection 5-Light linear pendant in chrome finish, has 2.75-Inch Dia x 5.875-Inch clear glass shade that brings elegance to the home. This modern style pendant uses five 60-Watt type B incandescent lamps. It measures 41-Inch x 8.75-Inch. This pendant with handsome beveled cage design, features clean geometry that creates a contemporary style. This pendant comes with 10-ft lead wire for easy installation. It is ideal for kitchen, living and dining room. Pendant is UL/cUL listed.